I had a bit of a wake-up call this week. 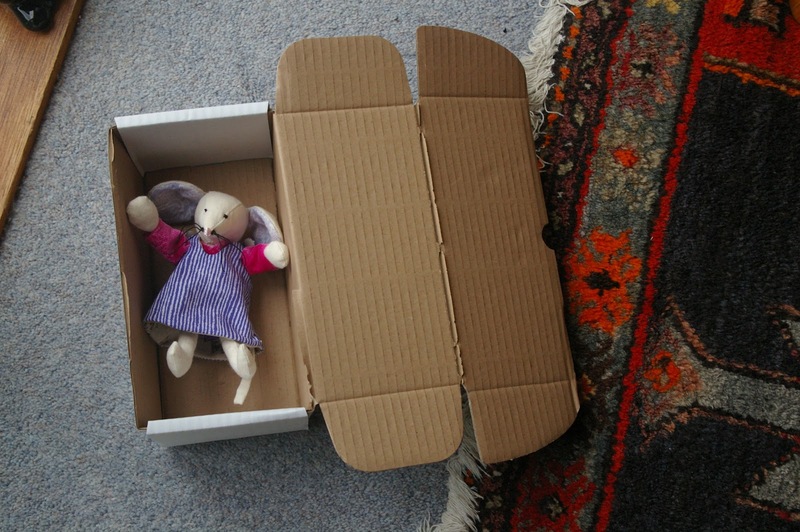 I simply had n't thought about the health and safety implications of selling handmade toys. I don't know why it did n't occur to me that handmade toys would have the same restrictions as more industrially made toys. 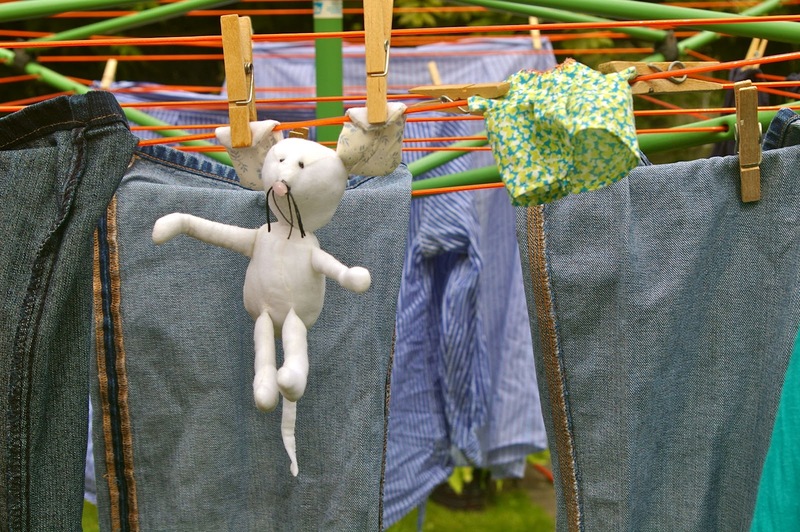 Handmade toys sold in the European Union need a CE mark. The good news is that, thanks to the forums on Etsy (if anyone has n't discovered Etsy.com, please do check it out - brilliant place to buy and sell handmade and vintage goods, and the forums are really useful for advice), I found a reference to http://www.conformance.co.uk/ where I was able to buy a pack that talks the handmade artisan through the legislation and how to test knitted or fabric toys, provides a testing checklist and self-certification declaration. 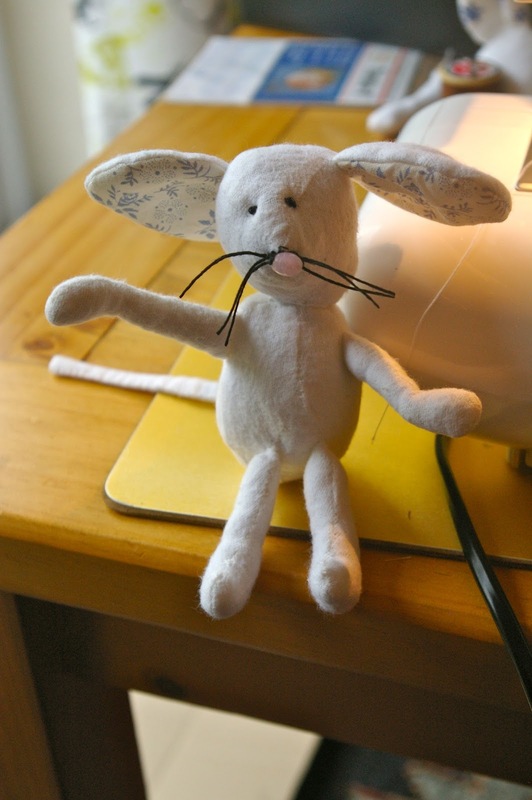 The even better news is that Ellen Mouse (brushed cotton version) passed with flying colours - the calico version is yet to be tested. By the time the rain started (again) she was still very damp, so I took a deep breath and put her in the tumble drier on its low setting. She came out as good as new...well almost. Her ears stuck straight up in the air and her whiskers hung down like a cartoon Mexican moustache. After a little ironing, her ears and whiskers were as good as new. For the rest of the testing, it just felt too cruel to use a finished mouse, so I created a headless stand-in using the same materials, stitch length, tension etc. 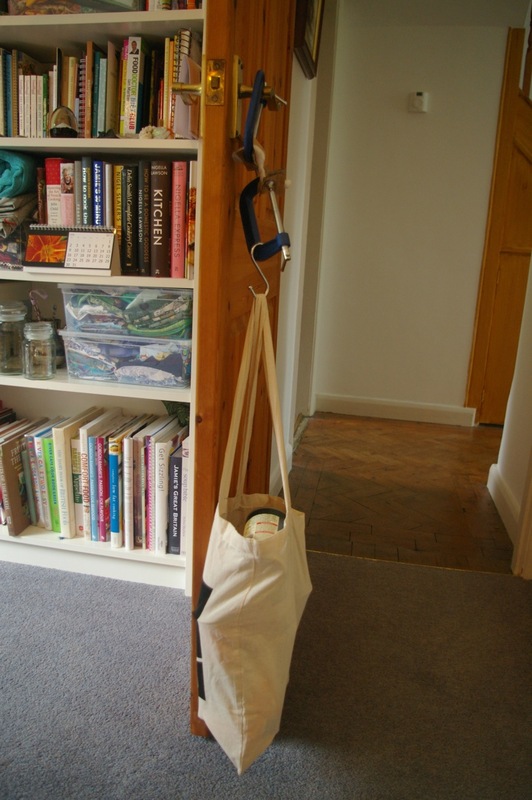 I had to twist the limbs to make sure they did not come off, try to force a large wooden spoon through the seam and fabric and then fix g-clamps either side of the seam, add a hook and a large bag and gradually add 7kg of weight and leave it on place for at least 10 seconds. 7kg is heavy! it looks like this: a lot of weight on a little leg. 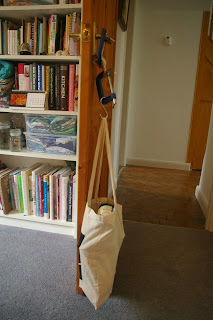 I was n't at all sure how well the fabric would hold up, as the brushed cotton is a more open weave than the calico (which is why I tested it first) - but even with all that weight, there was no sign of damage at all...phew! Next came the scary bit...flammability. 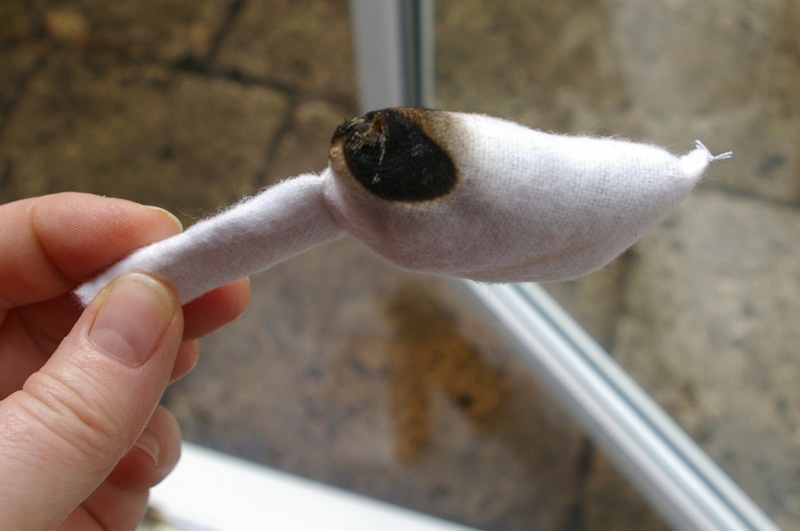 I had tested a small piece of fabric and had been fairly shocked to see how easily it caught fire. However, the stuffing meets all the standards and is fire retardant and as the test had to be done on the full mock-up rather than the individual components, the stuffing qualities affected how the covering fabric burnt. I was really pleased to see that the mock-up stopped burning as soon as it was moved away from the flame. Even though it passed the test, I have ordered some fire retardant spray designed to be used on bedding and nightwear - you can't be too careful. The tests have to be done on each model, and each one has to be made the same - materials and method, including length and type of stitch and sewing machine tension. I will carry out the same tests on the calico version and I also want to try to morph Ellen Mouse in to a rabbit, so will test the different shape ears and the bunny tail. Each 'model' needs to be recorded in a technical file, just in case a trading standards officer ever needs to see it. It will be a useful record for me too. 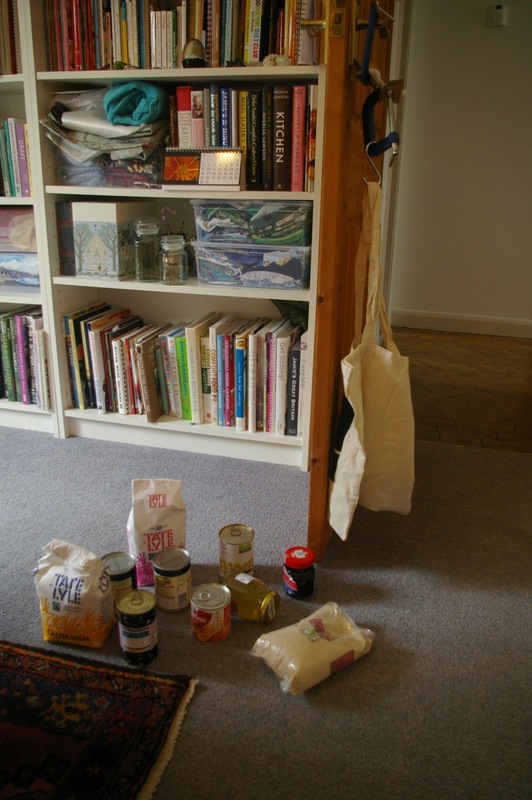 There are some casualties though - the pants and, as it is currently made, the bag. The pants are too small and fit inside the cylinder which indicates the smallest a piece can be without being a choking hazard - no beads either; faces will all be embroidered from now on. 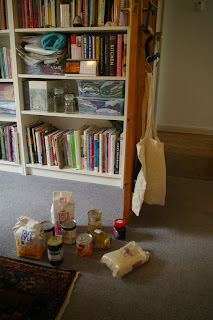 I am not sure the bags will wash well, so they are a no-go too unless I can work out a bigger and washable design. 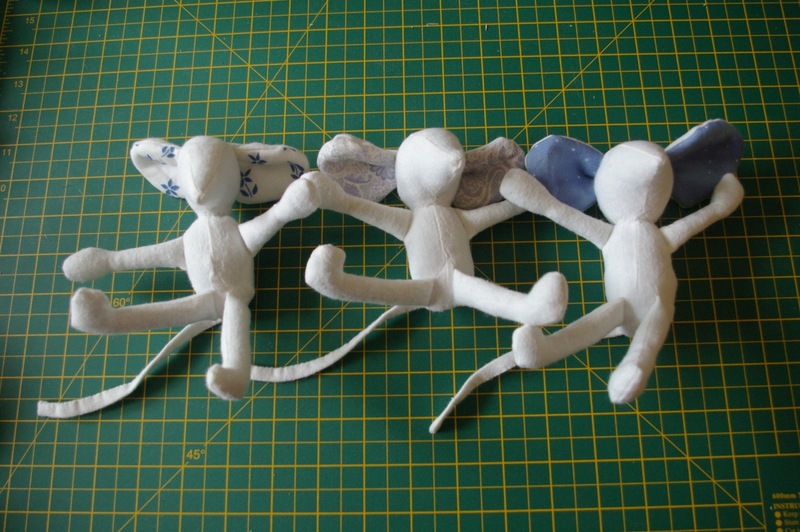 I have now almost finished the other three mice; they just need faces (and clothes). 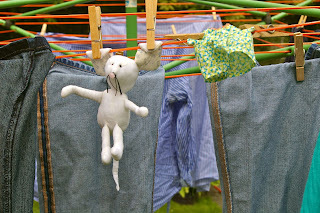 I am looking forward to making the clothes as I have some really great fabric in mind. 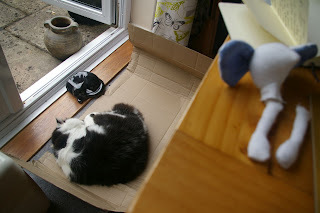 This week I bought some mailing boxes for when I need to post mice or other items and they were wrapped in cardboard, on which Max has taken to sleeping...all day! Ah well, at least his snoring kept me company. Oh my you're early posting! Not even Sunday yet. I am terribly impressed with the testing! But at the same time, I think it's very good that even handmade stuff is passed through a test, since it's intended for children. I totally agree - I could n't live with myself if a child choked or got burnt. I am not sure everybody does this, but I think they should. 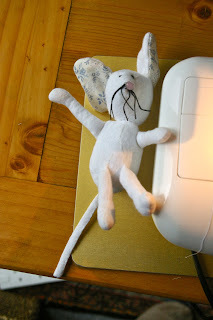 There's a mouse loose about this hooouse...! Oh I do like to be beside the seaside...!